29.07.2015. Hamburg, Germany. 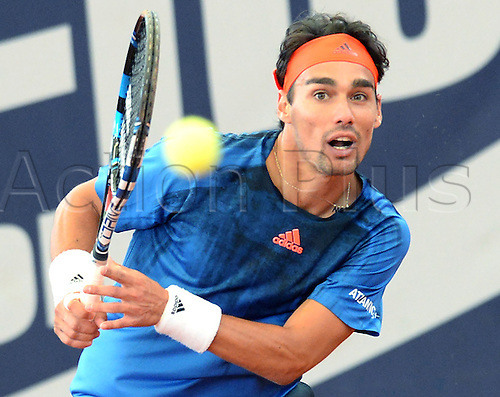 Fabio Fognini of Italy returns the ball to Albert Ramos-Vinolas of Spain during their second round match at the ATP tennis tournament in Hamburg, Germany, 29 July 2015.